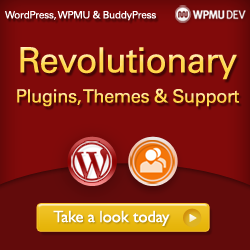 Save June 5–7, 2012, for the biggest blogging event of the year. If you’re looking at making a serious income with your blogging, this is an event you should attend. This year’s event will be held in New York City. here will be over 70 different speakers/presentations to chose from in this intense 3-day event. Heavyweights such as Matt Willbanks, Amy Porterfield, Jenna Langer, Paul Cooligan, Jelena Woehr, Jeff Hasen, and the list goes on and on. I wish I could say I’d meet you there, but the social calendar of my children makes it out of the question…this year. I’m planning to make the trip in 2013. It’s a jam-packed learning event. If you’re a writer, note that BookExpo America 2012 is in the same location on the same dates (by design)! I flew straight from a speaking engagement on the east coast to BookExpo (when it was held in Los Angeles) a few years ago. Well worth the trip. Amazing experience and exposure (not to mention hundreds and hundreds of dollars in free books). Take the trip to BlogWorld 2012 and hop over to BookExpo while you are there!